Did you know that in 2015, SickKids celebrated its 140th birthday? This means that this fantastic and enduring institution has been dedicated to helping children (and their families) since 1875! Since its establishment by a group of Toronto women led by Elizabeth McMaster, the Hospital for Sick Children has worked tirelessly and endlessly to “improve the health of children through the integration of care, research, and education.”1 Born out of the realization that almost 50% of all recorded deaths in 1875 were children under the age of 10 years old, and that the only hospital in the British Empire dedicated to childcare was located in London, England, Ms. McMaster and her group rented an 11-room house in downtown Toronto with six iron cots and declared the hospital open. 44 patients were admitted in the first year, with 67 others treated as outpatients. The hospital has already benefited from the tremendous support of many generous donations. 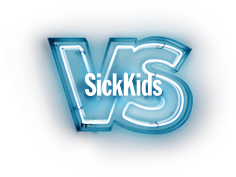 However, while SickKids continues to fight to save lives and provide world-class care, sometimes one’s best efforts are limited by the tools at their disposal. The building that the hospital occupies is 70 years old and in need of some serious upgrades, just to bring certain areas up to code. Erika Warren, our law student who has recently passed her licensing exam (more on that later), has made SickKids her choice for our giving initiative, and we couldn’t agree with her more. There have been other staff members who’s kids have had to take advantage of the great work the hospital is doing, so this selection hits close to home.